We soared with this one! 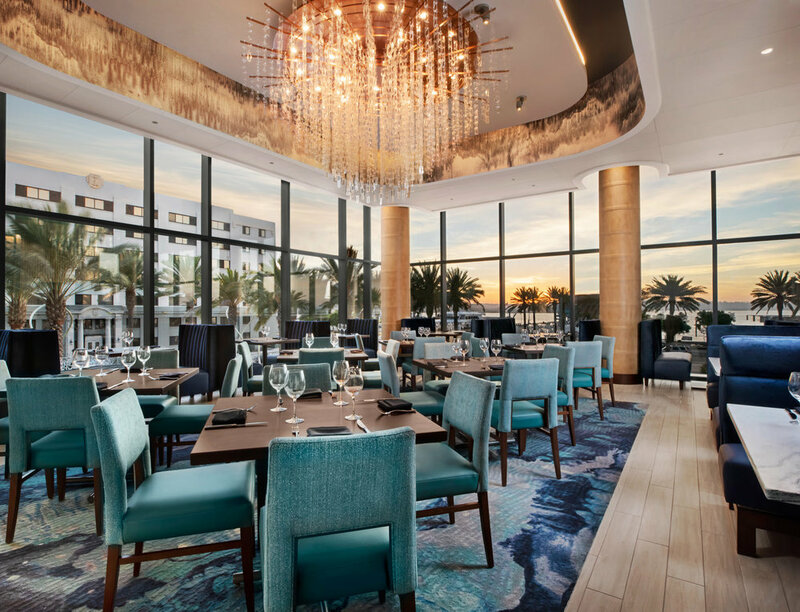 Set on downtown San Diego’s bay front, the sprawling, 16,650-square-feet two-story restaurant fronts the InterContinental Hotel. 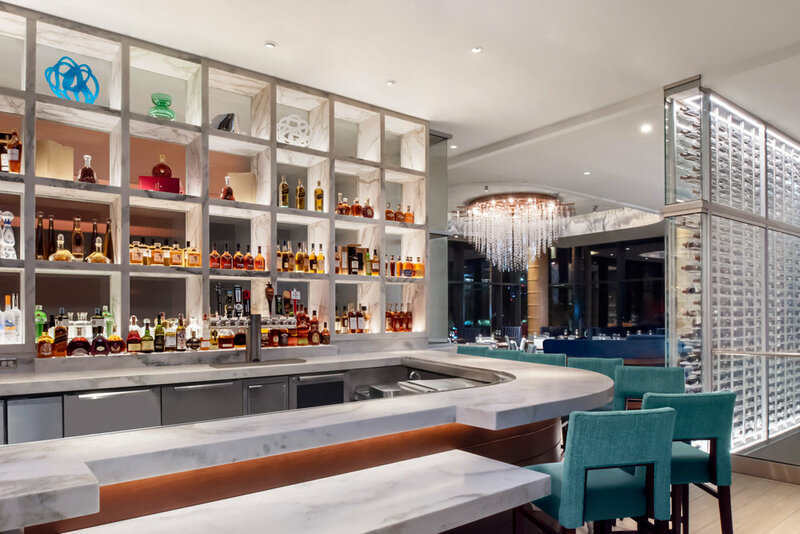 From the center of the space — a marble staircase surrounded by glassed-in, temperature-controlled wine walls and towers that store upwards of 7,000 bottles— to the two waterfront-facing patios that seat almost 500 people, this project by Aria Group Architects, Inc. also features two bars and panoramic views from upper and lower level indoor dining rooms. Auda & Auda captured it all.